From left, Scott Durbin, Michelle Zych, Angel Starks, B.J. Reed, Amy Price, Christine Reed, Evan Porter, Bryan Marshall, Rick Kolowski. The UNO Alumni Association on Tuesday, Oct. 23, celebrated achievements by members of the worldwide UNO alumni network, now numbering more than 110,000 living graduates, with its fifth annual UNO Alumni Night of Honor. A joint venture of the UNO Alumni Association and UNO Athletics, the UNO Athletic Hall of Fame began in 1975 to recognize the outstanding achievements of athletes, coaches or administrators. With the 2018 class it grows to 120 inductees. 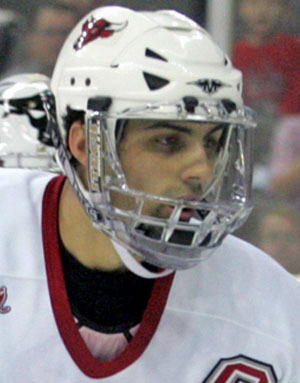 A four-year letter winner from 2004-2008, Marshall ranked second in career scoring for UNO hockey at the time of his induction with 150 points in 147 Maverick games. He was second all-time in assists with 101, ranked ninth all-time with 49 goals and was tied for third all-time with 10 game-winning goals. He led the team in scoring as a senior with 43 points and was a part of UNO’s nation-leading power-play unit that had 53 goals that season. He was named a Central Collegiate Hockey Association Second Team All-Conference selection as a senior. 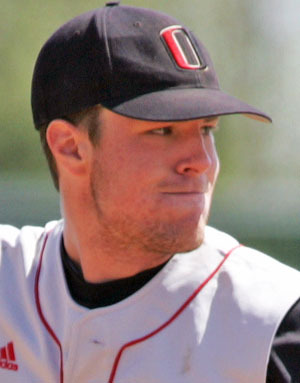 A two-time All-American, Porter started four years at shortstop from 2006 to 2009 for the UNO baseball team. At the time of his induction, Porter was UNO’s all-time leader in games started (239) and played (239), at-bats (869), hits (323), doubles (75), home runs (43), RBIs (249) and total bases (527). In his career, he batted .372 to rank sixth in school history as well as second in career runs scored (215) and seventh in slugging percentage (.606). Porter holds single-season records for games started (61), games played (61) and hits (97). 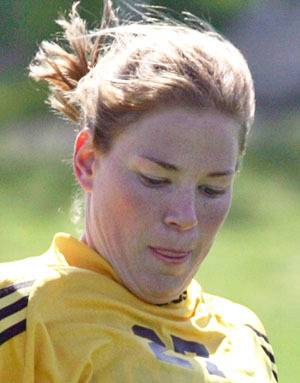 Price, a goaltender, was named a National Soccer Coaches Association of America (NSCAA) second-team All-American as a freshman in 2002 and led the Mavericks to the 2005 Division II national championship as a senior when she was named defensive MVP of the NCAA tournament. Price earned NSCAA all-region and all-North Central Conference honors twice in her career. At the time of her induction, Price was UNO’s career leader in saves (288), save percentage (.837), wins (70) and shutouts (41.5), and she finished her career with a 51-8-4 record. She was also an academic standout, earning academic all-district (2003) and all-conference (2004) honors and being named an NSCAA Second-Team Academic All-American in 2005. Established in 2014, Young Alumni Achievement Awards recognize outstanding career achievement, active community involvement or exceptional service to the university by graduates 40 or younger. 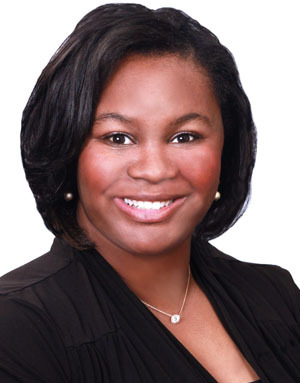 An Omaha native, Starks is the chief experience officer and team lead of Team Locale with Nebraska Realty. She serves as the 2018 president of the Women’s Council of REALTOR-Omaha Network. 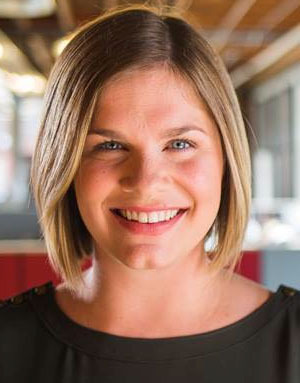 She also has served as the 2018 YP Summit Chair for the Greater Omaha [Chamber] Young Professionals and was on the YP Council for three years prior. She spends many hours volunteering with children and youth in the community, including time with Growing Hearts Collaborative/Heart2Heart Services. Starks earned a BGS from UNO in 2016. Zych is executive director of the Women’s Fund of Omaha, a nonprofit that identifies critical issues, funds innovative solutions and leads dynamic change through grants provided to women and girls. Zych also is president-elect of the board of directors of the Nonprofit Association of the Midlands; is a member of Omaha Network; was named to the Midland’s Business Journal’s 40 Under 40 list; and is a graduate of Leadership Omaha Class 31 and the Nonprofit Association of the Midlands’ Nonprofit Executive Institute Class 7. She earned an MPA from UNO in 2006. Established in 1974, Outstanding Service Awards honor faculty, staff, alumni or friends who have shown long, outstanding service to the alumni association and/or university. With this year’s honorees, the list of recipients grows to 114 individuals. A 1985 UNO graduate, Durbin was the third generation of his family to serve as chairman of the UNO Alumni Association, doing so in 2016-17. He joined the board in 2011 and served for seven years. Durbin is a senior vice president with Harry A. Koch, where he’s worked since 1991. He is a licensed property/casualty, life and health agent and a consultant and broker in 30-plus states. He holds the Accredited Advisor in Insurance designation and is a member of the National Association of Surety Bond Producers. Durbin’s extensive community service includes leadership posts with several nonprofit organizations. He also is active in student ministry at his church, has coached several of his children’s sports teams and is a licensed high school soccer referee. B.J. 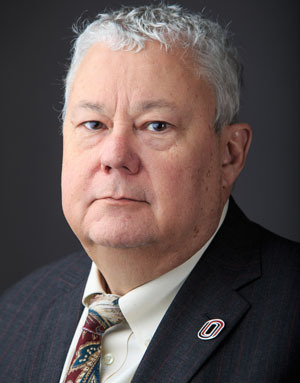 Reed has been on the UNO faculty since 1982, including stints as chairman of the Department of Public Administration (1985-2000), dean of the College of Public Affairs Community Service (2000-2011) and executive associate to the chancellor (2006-2012). Today he is senior vice chancellor for Academic and Student Affairs. 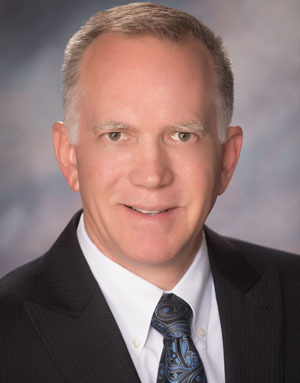 Reed has published in numerous journals and authored several books on topics including economic development, strategic planning, budgeting, financial administration and intergovernmental management. He also has served on the executive units of numerous academic and professional organizations and was co-chair of Omaha Mayor Mike Fahey’s Police-Fire Study Commission and chair of the City of Omaha’s Charter Commission. His community service includes posts with the Love Jazz Arts Center, Live Well Omaha, the Dundee Memorial Park Neighborhood Association and others. 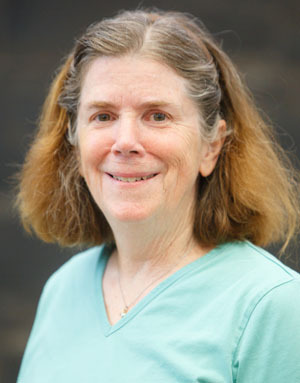 Christine Reed has been a faculty member in UNO’s School of Public Administration since 1982 and currently chairs the chancellor’s Sustainability Committee. She also has served as associate dean of Graduate Studies and as interim associate vice chancellor for research and interim dean of Graduate Studies. She has taught in the doctoral, MPA and Urban Studies programs, and has published extensively in the areas of public and environmental law, policy and ethics. Christine also is a faculty fellow at the NU Daugherty Water for Food Institute and has collaborated with the institute, the NU Public Policy Center and the Nebraska Water Center on water issues of concern to Nebraska. Reed was inducted into Pi Alpha Alpha in 2002 and Omicron Delta Kappa in 2007 and was awarded a Regents Foundation Professorship in 2008. 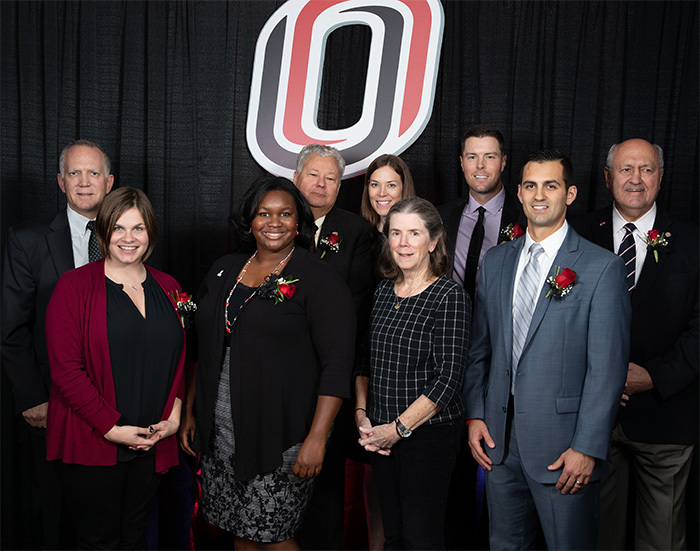 The inaugural Alumni Public Service Award recognizes UNO alumni who have a record of outstanding public service benefiting the advancement of the university and higher education in general. 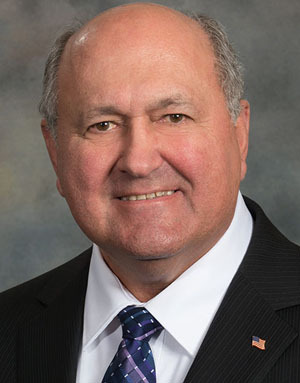 Senator Kolowski was elected to the Nebraska Legislature in 2012 and re-elected in 2016 representing District 31 in southwest Omaha. He serves on the Education, Natural Resources and State Retirement Systems Legislative Committees. He was elected vice chairman of the Education Committee in 2015 and again in 2017. In 2013, he was appointed to a six-year term with the Midwestern Higher Education Compact and a four-year term with the Council of State Government’s Education Public Policy Committee. Kolowski was the founding principal of Millard West High School in 1993, serving until his retirement in 2008 after 41 years in public education. His community service includes leadership positions with the Phi Delta Kappa Education Foundation and the Learning Community Coordinating Council of Douglas and Sarpy Counties. Kolowski served in the U.S. Marine Corps Reserve from 1964-1967. He earned his MS in history/secondary education from UNO (1970) and his Ph.D. in secondary education from UNL (1978).